Chris Echterling has spent his entire life exploring wild places. He has hiked, trekked, climbed, canoed, and traveled via horseback and dogsled. Chris often travels solo in some of the wildest places on the planet. 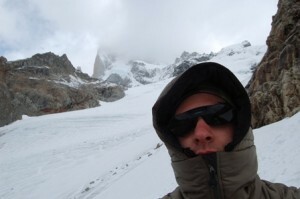 After exploring Patagonia in two visits, Chris discovered his true passions: ice caps and the Andes mountain range. He has traveled in the Andes in Argentina, Chile and Colombia. Chris is planning trips to places like Greenland and Alaska to explore the Arctic, and of course, more trips to the Andes.